Beets in Tagliatelle is a lovely pink! You know that lovely pink-coloured pasta you see in fancy grocery stores with really fancy sounding Italian name brands? They sometimes costs more than you’d like to pay for noodles and well, I’m happy to say that it’s actually something that is quite achievable at home. I had a mid-sized, organic red beet sitting in my pantry since my previous grocery shopping spree and it needed to be used because it’s actually taking up too much space! I wasn’t really in the mood for roasting it, much less eating it in a salad but I did like the idea of pureeing it into a smooth paste and converting it into tagliatelle. 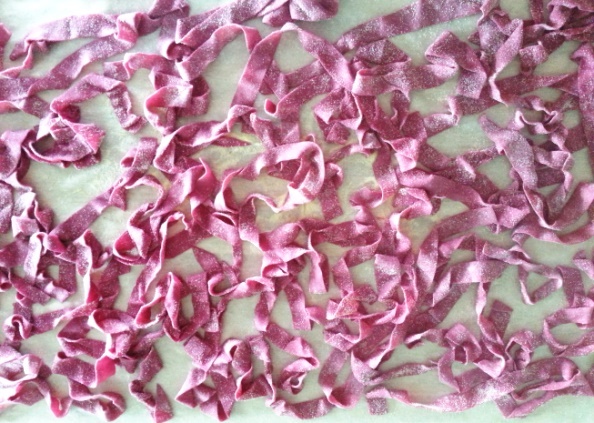 This post is a recipe on how to make pink tagliatelle with beets and you can easily use this recipe to create other pasta shapes as well. But the general rule is that the thicker the pasta strands, the heavier your sauce should be. 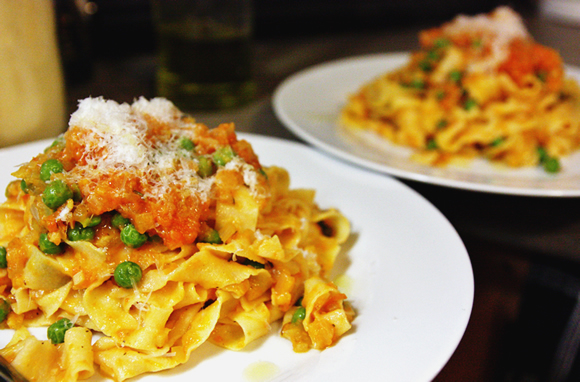 So meat sauces like vegetarian ragu would go really well with tagliatelle. And I make a mean ragu, you won’t even miss the meat! Yes, I said it, meatless ragu. And let’s see how long this post gets. Maybe I should honour my ragu with a post of its own. Let’s see. Ravioli are big bites of deliciousness. You can have all your food groups in that nicely sealed pocket of pasta, or at least the essential ones. That’s why I love eating ravioli with a simple herbed butter sauce. How did you guess that I coincided this post just because I posted a homemade pasta recipe last week? 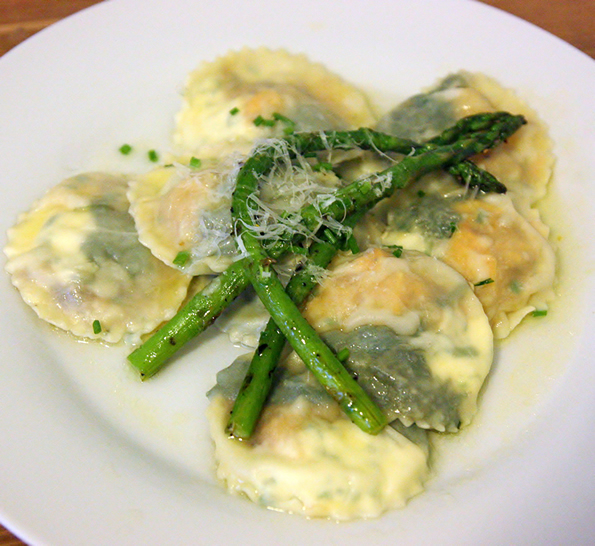 *wink* Ravioli are best homemade – ask any Italian. 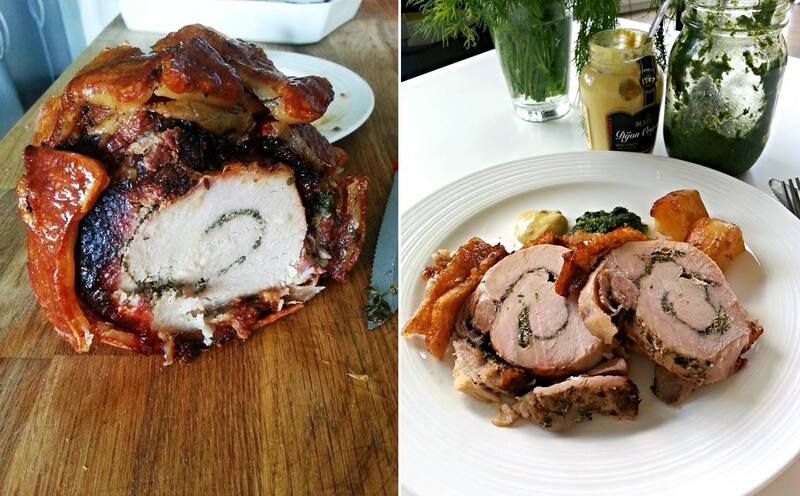 This recipe is inspired by the leftovers in my kitchen. I had a slightly wilted looking pre-washed spinach, some chevre (goat’s cheese) and a lone butternut squash that’s been sitting in the dark for at least 1 month. You can use any cheese you want but it is preferred if you pick soft mild cheeses like chevre, ricotta, and cream cheese – and nothing too strong either. 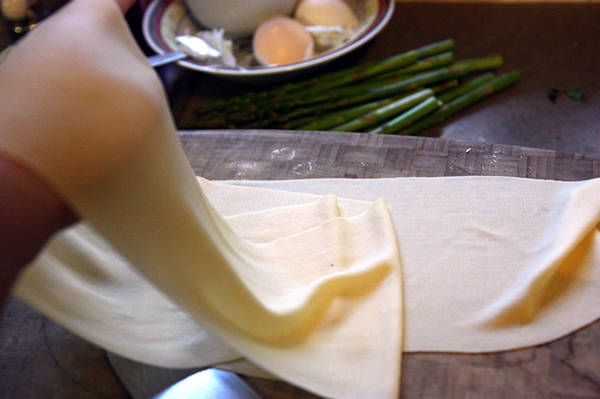 Making pasta from scratch is easy. I’m a pasta fiend since I learned how to make pasta from good ol’ Jamie Oliver. Homemade pasta doesn’t taste like the package stuff you buy from the store at all. There is a freshness to it that makes it delicious to eat even on its own. Honestly, there is no precise science to making pasta. I’ve given the standard ratio of flour and water a hike since discovering the weather can affect that ratio. So the best thing to do is to feel your way through the dough while you knead – and start small. You will be amaze that 1.5 cups of flour can make enough pasta for two person for two meals, if you knead it well and roll it out properly. A pasta machine is helpful. If not, good ol’ elbow grease works just as well with a rolling pin. If you’ve noticed, the site looks slightly different. I’ve move to WordPress and it’s still a work in progress. And if you’ve also noticed, spring has sprung. Yesterday, we walked to the Maisonneuve market without our winter jackets and felt happiness like no one who’s never had to endure 6 months of cold will ever know. We bought a bunch of vegetables too, of course. So last night I made tagliatelle from scratch (because pasta making is my obsession right now) with orange tomato sauce and peas. It was a nice reminder that summer is around the corner and it won’t be long before we’re given local options to these types of produce. The sauce was great and this is what this post is about. Orange pasta sauce that’s a little different from your regular red, from scratch.